A False Claims Act lawsuit against U.S. Bank could signal a cavalcade of similar actions against loan servicers that allegedly circumvented a key pre-foreclosure HUD requirement - steamrolling helpless homeowners to reap fast profits. Sources say Ocwen, Bank of America, Wells Fargo and other loan servicers are girding for new False Claims Act lawsuits filed by employees and ex-employees exposing yet more mortgage foreclosure misconduct to reap million dollar whistleblower rewards. 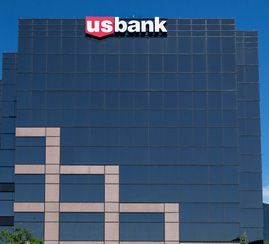 Advocates for Basic Legal Equality (ABLE), an Ohio based legal aid group, filed a False Claims Act lawsuit against U.S. Bank alleging this division of one of the nation’s largest banks cheated the U.S. government. The essence of the claim is that U.S. Bank’s mortgage lending branch created mortgages that were backed by U.S. government guarantees, meaning if U.S. Bank had to foreclose, the government would cover the lender’s loss and make payments. The government requires that when homeowners with FHA mortgages fall behind, a bank representative must meet with them to try to work something out and get the borrowers back on track prior to commencing a foreclosure action where the lender would seek to be reimbursed for any loss by the guaranteeing U.S. government agency. The U.S. Bank lawsuit alleges the bank failed to meet with any homeowners who were behind on payments and engaged in what has become known in the industry as “steamroller foreclosures” where many legal prerequisites were ignored. Many of these practices have come to light in recent years and have cost major banks billions in False Claims Act settlements, the largest of which was December’s Bank of America $16.6 billion dollar settlement in an action commenced by three now-quite-wealthy whistleblower employees and former employees of Bank of America. The ABLE lawsuit was similarly filed under the False Claims law in existence since the Civil War which permits private citizens to sue companies on behalf of the people of the United States, when those companies are defrauding the government. The False Claims Act includes a provision to motivate citizens to take action when they see corporate misconduct with a whistleblower reward that promises successful filers a hearty portion of any amounts recovered. These rewards have historically been from ten to twenty five percent of the ultimate settlements, at times reaching ten plus million dollar cash rewards to individual whistleblowers. ABLE’s lawsuit against U.S. Bank asserts that in their Department of Housing and Urban Development (HUD) Federal Housing Administration (FHA) guaranteed loans, U.S. bank made false claims by seeking, and receiving, reimbursement on foreclosed loans; loans where the foreclosure process was faulty due to U.S. Bank’s failure to comply with the workout requirement. The ABLE suit is particularly stinging to U.S. Bank as it comes in the wake of a June 2014 $200 million settlement for other alleged failures in their FHA loan foreclosure and reimbursement claim process. Similarly substantial, or even greater amounts are potentially at risk in the present action as, according to a New York Times article, U.S. Bank’s 22,000 plus FHA claims in the 2001 to 2011 time period resulted in $2.37 billion in reimbursements. This ABLE case is significant not only for the staggering potential damages against U.S. Bank with the False Claims Act’s treble damages plus attorney fees provision but because other loan servicers (they collect payments, handle foreclosures, and are charged with maximizing recovery) including Ocwen, Wells Fargo, JP Morgan Chase, Citi, PNC Financial Services and others could face similar claims. A U.S. Bank spokesperson promises a vigorous defense, while False Claims Act whistleblower lawyers are reportedly deeply engaged with investigations on behalf of employees and ex-employees of U.S. Bank, Ocwen, and other servicers for new actions outside of the ABLE lawsuit, those potential litigants eyeing the multi-million dollar potential rewards for reporting misconduct.